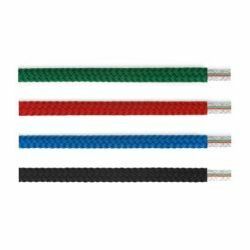 3/16" XLS Yacht Braid is Samson's most popular polyester double braid. Cruising sailors who desire optimal performance will appreciate this low stretch construction, smooth rendering, and long life of the 3-end per carrier cover over a polyester core. Ropes cycled 50 times each at percent of average break strength.